Hradec Králové — Hradec Kralove hl.n. 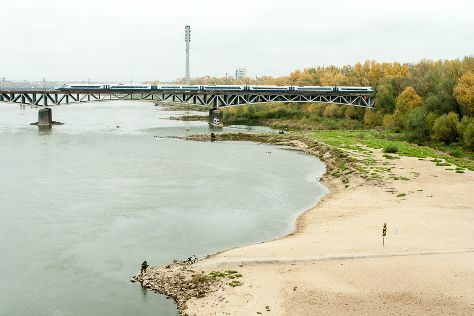 Take a break from the city and head to Vistula River Beach and Olympic Golf Club. Shop till you drop at Old Town Market Square and Nowy Swiat. Next up on the itinerary: appreciate the extensive heritage of Old Town, explore the world behind art at The Royal Castle in Warsaw - Museum, steep yourself in history at Lazienki Palace (Palac Lazienkowski), and don't miss a visit to Old Town Observation Terrace. To see reviews, traveler tips, more things to do, and more tourist information, refer to the Warsaw online travel route planner . Guangzhou, China to Warsaw is an approximately 17-hour flight. The time zone difference moving from China Standard Time to Central European Time is minus 7 hours. Expect slightly colder temperatures when traveling from Guangzhou in July; daily highs in Warsaw reach 29°C and lows reach 17°C. Finish your sightseeing early on the 19th (Thu) so you can take a train to Krakow. Start off your visit on the 20th (Fri): appreciate the extensive heritage of Wawel Royal Castle and then take in the spiritual surroundings of Wawel Cathedral. For more things to do, other places to visit, and other tourist information, refer to the Krakow road trip planner . You can take a train from Warsaw to Krakow in 2.5 hours. Other options are to do a combination of train and flight; or drive. In July, plan for daily highs up to 30°C, and evening lows to 15°C. Finish your sightseeing early on the 20th (Fri) so you can drive to Wroclaw. 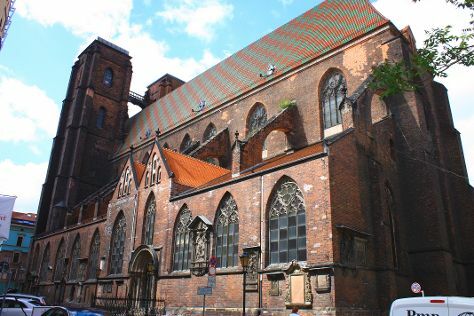 Here are some ideas for day two: get to know the fascinating history of Old Town- Historic Center, ponder the world of politics at Wroclaw Town Hall, browse the different shops at Market Hall (Hala Targowa), then soothe aching muscles at some of the top local wellness centers, and finally pause for some serene contemplation at St. Mary Magdalene Church. To find maps, photos, traveler tips, and other tourist information, refer to the Wroclaw holiday planner . Traveling by car from Krakow to Wroclaw takes 2.5 hours. Alternatively, you can take a bus; or take a train. July in Wroclaw sees daily highs of 30°C and lows of 17°C at night. Finish your sightseeing early on the 22nd (Sun) so you can drive to Prague. Kick off your visit on the 23rd (Mon): look for gifts at PALLADIUM Shopping Center Prague, look for gifts at Egoist Royal Parfums, then wander the streets of Old Town Square, and finally look for gifts at Manufaktura. On the 24th (Tue), you'll have a packed day of sightseeing: look for gifts at Artel, then take in the spiritual surroundings of St. Vitus Cathedral, then explore the historical opulence of Prague Castle, and finally take some stellar pictures from Prague Astronomical Clock. Plan a trip to Prague easily and quickly by telling Inspirock to suggest an itinerary. You can drive from Wroclaw to Prague in 4 hours. Alternatively, you can take a bus; or do a combination of bus and train. In July, plan for daily highs up to 30°C, and evening lows to 17°C. Finish your sightseeing early on the 24th (Tue) to allow enough time to drive to Karlovy Vary. Kick off your visit on the 25th (Wed): explore the striking landscape of Svatoaske Skaly National Nature Monument, then tee off at Golf Sokolov, then identify plant and animal life at Naucna stezka Kladska, and finally take in the architecture and atmosphere at Church. Get ready for a full day of sightseeing on the 26th (Thu): admire the natural beauty at The Parks of Marianske Lazne and then steep yourself in history at Tepla Monastery. To see photos, maps, more things to do, and more tourist information, refer to the Karlovy Vary day trip site . Drive from Prague to Karlovy Vary in 2 hours. Alternatively, you can take a bus; or take a train. In July, Karlovy Vary is slightly colder than Prague - with highs of 26°C and lows of 13°C. Finish up your sightseeing early on the 26th (Thu) so you can go by car to Cesky Krumlov. Kick off your visit on the 27th (Fri): contemplate the long history of Latran houses, contemplate the long history of Minorite Monastery, explore the world behind art at Egon Schiele Art Centre, then examine the collection at Moldavite Museum - Muzeum vltavinu, then get to know the fascinating history of Historie mesta Ceský Krumlov, and finally take in the architecture and atmosphere at St. Jost Church. Get ready for a full day of sightseeing on the 28th (Sat): view the masterpieces at Miroslav Paral Art Gallery, indulge your thirst for a good beer at Eggenberg Pivovary, then explore the activities along Lipno Lake, and finally steep yourself in history at Cesky Krumlov Castle. 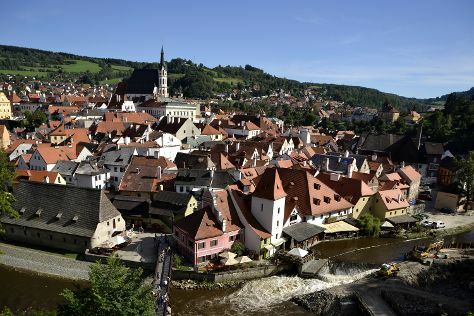 For ratings, traveler tips, where to stay, and more tourist information, go to the Cesky Krumlov online visit planner . You can drive from Karlovy Vary to Cesky Krumlov in 4 hours. Alternatively, you can take a bus; or do a combination of bus and train. Traveling from Karlovy Vary in July, things will get a bit warmer in Cesky Krumlov: highs are around 30°C and lows about 17°C. Wrap up your sightseeing on the 28th (Sat) to allow time to drive to Venice. Kick off your visit on the 29th (Sun): take a stroll through Cannaregio, hunt for treasures at Mercati di Rialto, stop by I Tre Mercanti, then admire the landmark architecture of Doge's Palace, and finally look for gifts at BrAgora. For more things to do, where to stay, traveler tips, and tourist information, read Venice travel route planning site . You can drive from Cesky Krumlov to Venice in 7 hours. Other options are to do a combination of bus and flight; or do a combination of bus, train, and flight. In July, Venice is somewhat warmer than Cesky Krumlov - with highs of 36°C and lows of 22°C. Wrap up your sightseeing on the 30th (Mon) to allow time to take a train to Bologna. On the 30th (Mon), steep yourself in history at Torre Prendiparte, look for gifts at De Paz, then stop by Tamburini, then contemplate in the serene atmosphere at Chiesa di Santa Maria della Vita, and finally appreciate the extensive heritage of Le Mura. On the next day, laugh and play at Acquapark della Salute Piu. For more things to do, ratings, and more tourist information, you can read our Bologna online trip itinerary maker . Getting from Venice to Bologna by train takes about 1.5 hours. Other options: drive; or take a bus. Expect a daytime high around 37°C in July, and nighttime lows around 22°C. Cap off your sightseeing on the 1st (Wed) early enough to catch the train to Milan. On the 1st (Wed), contemplate the long history of Certosa di Pavia, contemplate in the serene atmosphere at Duomo di Milano, and then see the interesting displays at Castello Sforzesco. On the next day, appreciate the extensive heritage of Isola Comacina and then tour the pleasant surroundings at Spiaggia di Onno. To see photos and other tourist information, refer to the Milan trip itinerary maker site . Traveling by train from Bologna to Milan takes 1.5 hours. Alternatively, you can drive; or take a bus. In August, plan for daily highs up to 34°C, and evening lows to 22°C. Wrap up your sightseeing by early afternoon on the 3rd (Fri) to allow time for travel to Cap d'Ail. Start off your visit on the 4th (Sat): stop by Deli', then steep yourself in history at La cité médiévale, then steep yourself in history at Villa Grecque Kerylos, and finally browse the exhibits of Villa & Jardins Ephrussi de Rothschild. 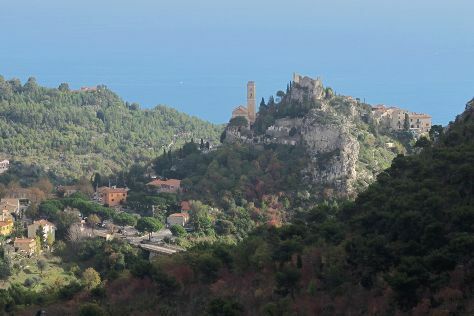 Get ready for a full day of sightseeing on the 5th (Sun): appreciate the extensive heritage of Chemin Frédéric Nietzsche, appreciate the extensive heritage of Promenade Le Corbusier, and then step into the grandiose world of Chateau de Roquebrune-Cap-Martin. For maps, reviews, ratings, and more tourist information, read Cap d'Ail day trip planning site . Traveling by car from Milan to Cap d'Ail takes 4 hours. Expect a daytime high around 32°C in August, and nighttime lows around 24°C. Wrap up your sightseeing on the 5th (Sun) to allow time to travel to Paris. Get outdoors at Île de la Cité and Paris Plage. 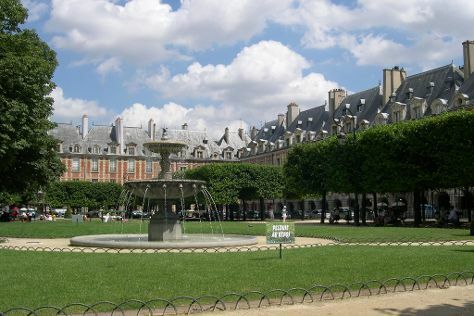 For shopping fun, head to Champs-Elysees or Le Marais. The adventure continues: pause for some serene contemplation at Cathédrale Notre-Dame de Paris, wander the streets of Saint Germain des Pres Quarter, admire the masterpieces at Louvre Museum, and step off the mainland to explore Ile Saint-Louis. For other places to visit, reviews, photos, and tourist information, go to the Paris trip itinerary planning tool . The Route module can help you plan travel from Cap d'Ail to Paris. Traveling from Cap d'Ail in August, Paris is a bit cooler at night with lows of 16°C. Finish your sightseeing early on the 8th (Wed) to allow enough time to take a train to London. Start off your visit on the 9th (Thu): make a trip to Tower of London and then kick back and relax at King George's Playing Fields. Keep things going the next day: take in the spiritual surroundings of Westminster Abbey, then take in nature's colorful creations at Buckingham Palace, and then get a new perspective on nature at Natural History Museum. For more things to do, traveler tips, photos, and more tourist information, read London day trip site . Getting from Paris to London by train takes about 2.5 hours. Other options: fly; or do a combination of car and train. You'll gain 1 hour traveling from Paris to London due to the time zone difference. When traveling from Paris in August, plan for little chillier days and about the same nights in London: temperatures range from 26°C by day to 15°C at night. Finish your sightseeing early on the 11th (Sat) so you can take a train to Cambridge. Start off your visit on the 11th (Sat): get a taste of the local shopping with Market Square, then steep yourself in history at St. John's College, then identify plant and animal life at The Backs, and finally learn about winemaking at Cambridgeshire Wine School. For traveler tips, photos, other places to visit, and tourist information, read our Cambridge trip maker tool . Take a train from London to Cambridge in an hour. Alternatively, you can drive; or take a bus. August in Cambridge sees daily highs of 25°C and lows of 16°C at night. Finish up your sightseeing early on the 12th (Sun) so you can travel to Liverpool. Kick off your visit on the 12th (Sun): shop like a local with Liverpool ONE, then take a leisurely stroll along Albert Dock, and then take in the spiritual surroundings of Liverpool Cathedral. On the next day, contemplate in the serene atmosphere at Chester Cathedral and then contemplate the long history of Erddig. To find reviews, more things to do, where to stay, and tourist information, read Liverpool trip planner . Do a combination of flight and train from Cambridge to Liverpool in 3 hours. Alternatively, you can drive; or take a train. In August in Liverpool, expect temperatures between 22°C during the day and 15°C at night. Finish your sightseeing early on the 13th (Mon) to allow enough time to travel back home.